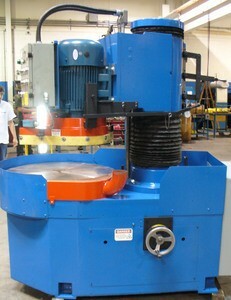 Check out this 36 inches vertical grinder refurbished and tested OK at an affordable price ! This vertical surface grinder was specifically designed to grind the surface of brake pads. 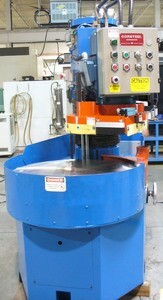 This machine will grind all loose brake pads as well as flat backed IM parts in a loose fixture. IM parts with protrusions on the plate will need individual fixtures for each brake part.